The Railway Exchange Building located in Milwaukee, WI is a significant example of the work of the internationally renowned architect and engineer William LeBaron Jenney, who has become well-known as the “father of the skyscraper.” But it was clear from Marion Restoration first site visit that there were multiple colors/tones of terra cotta units on the building. The building is literally a patchwork of brown terra cotta. 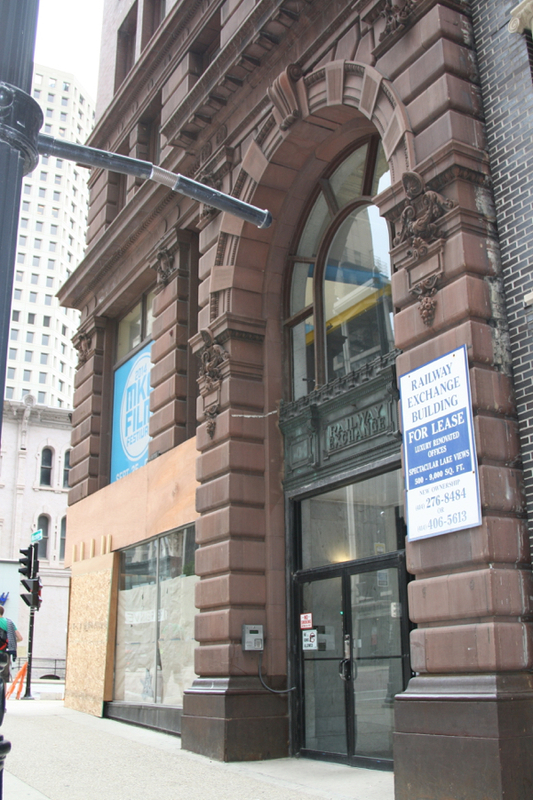 It has happened due to previous aggressive building cleaning and the coating of the terra cotta (early in the building’s history). That was precisely why we proposed stain application on the storefront level of the building as part of our restoration efforts. 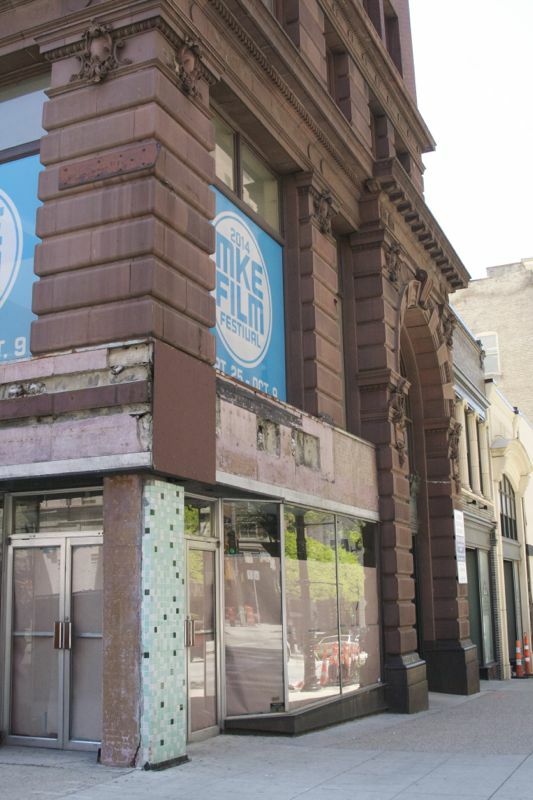 Terra cotta patching was a critical first step as it was necessary prior to the installation of storefront windows. 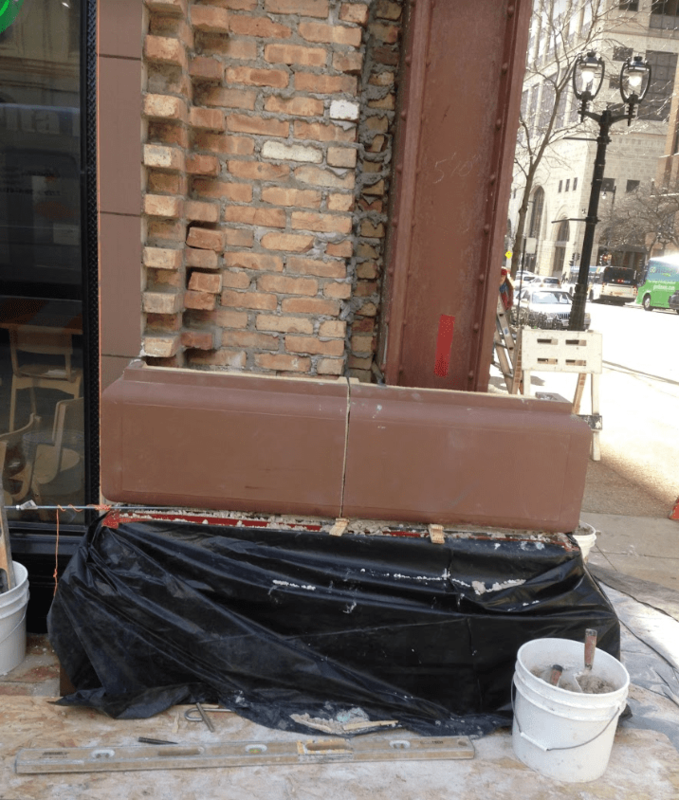 Patching has included only patching, repair, and stabilization of existing terra cotta units from the sidewalk up to the second floor and the main entry on the north elevation.